Personally, I love Persian, oriental, and specialty rugs. It absolutely amazes me that someone has the skill and patience to sit down for a long period of time, sometimes a year, and patiently use different colors of thread and tie little knots on the warp yarns set up on a loom and make a beautiful and intricately designed rug. The Persian rugs especially are truly a work of art! I’ll never forget seeing my first beautiful 5×7 silk rug at the headquarters of SteamWay International in Denver Colorado. This rug had been given to the CEO Ralph Bloss, for his contribution to the development of Stainmaster carpets. 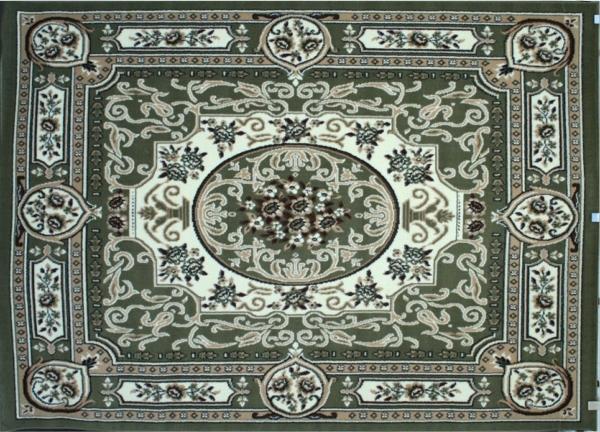 It truly was a work of art complete with pearls and gold thread woven throughout the rug. Rugs can really change the appearance of a room from dull and drab to warm and inviting. Rugs can take a room from being plain to elegant. Rug cleaning can be VERY finicky, not only because of the fiber content, but also due to the many different local dye’s used by the individuals dyeing the fibers going into the rugs and/or the construction of the rug. If you have someone who offers to clean your hand made Persian, oriental and specialty rugs in your house, STOP! They clearly have no clue what they are doing! Your rugs need to be taken out of your home to a facility to be professionally cleaned by someone who has been trained specifically to clean rugs, especially Persians and Orientals. Your rugs could be ruined rather quickly by someone who doesn’t know what they are doing. You can also rely on Ultra-Clean to clean and treat your wool carpets on-site. We use wool-safe approved cleaners. Low in pH levels, their approved professional carpet care products have been tested, and they meet or exceed strict environmental DfE guidelines (EPA’s Design for the Environment). Ask us for about our Woolsafe Approved Spot Remover. Not all spot treatment products are eco-friendly. You need specialty products to remove stubborn stains. You might find the table useful from Woolsafe Carpet Care Specialists directory. The numbers in each column are the instructions to follow which are provided after the table.